SHETLAND’S chief inspector Lindsay Tulloch has thanked members of the public for trying to save a person who died in a Lerwick house fire in the early hours of Sunday. 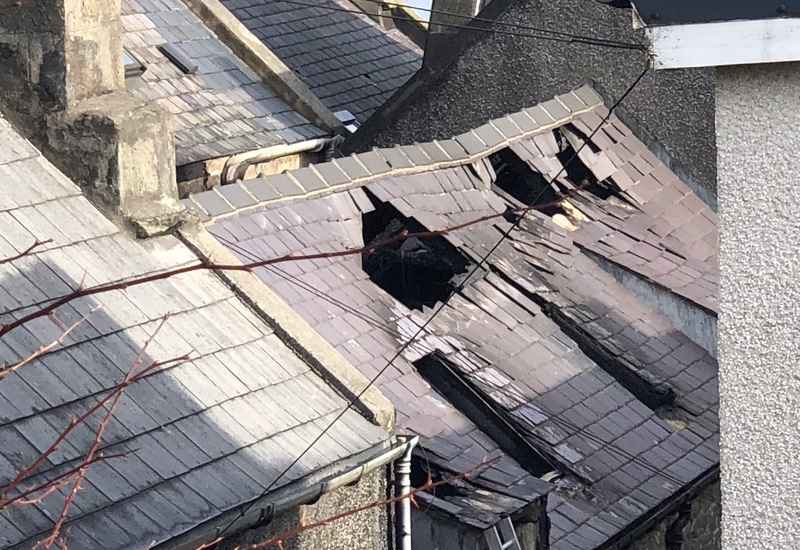 Emergency services were called to a two-story house in Burns Lane shortly after midnight on Sunday to find a well-established fire, but were unable to save the victim, whose name has yet to be confirmed by police. Tulloch said: “I know that some members of the public tried their best at the scene to save the person involved and I would like to thank you for your brave efforts. He said that the police were also still trying to confirm the identity of the victim – and no further information would be released before that has been done. 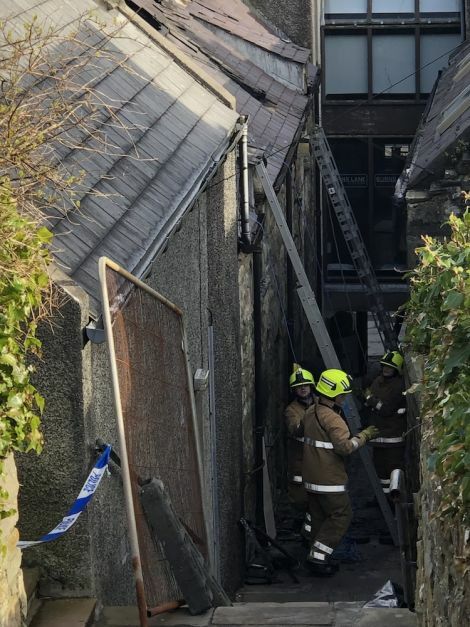 SFRS group manager Matt Mason said that fire crews had to deal with restricted access to the house, but units were deployed from the swimming pool car park where they also had acces to a water supply. Mason, who was off duty at the time, said that six breathing apparatus were at one time being used. Two main jets and a high pressure lance from the new Bixter appliance were used to put out the blaze. Later on fire fighters worked to secure the area by attending to the damaged building whose roof was deemed unsafe. Mason added that a joint police and fire service investigation was on going with specialists trying to determine the cause of the blaze. It took fire crews from Lerwick, Brae, Sandwick and Bixter three hours to get the fire under control. One person, believed to be a woman, was taken to hospital.